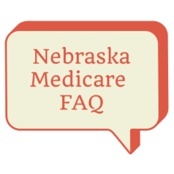 How and when do I sign up for Medicare and apply for Medicare Part B in Nebraska? What is Nebraska’s Medicare Part B premium? The standard Medicare Part B premium in Nebraska is $134.00 a month. Do I need Prescription Drug Coverage (Part D) in Nebraska? Yes. If you don’t think you need Part D drug coverage with Medicare because you aren’t on any prescription, you still need to enroll into a plan in your area of Nebraska. There’s a late enrollment penalty of 1% per month you don’t have creditable prescription drug coverage. The 1% penalty is multiplied by the national base premium. The national base premium in 2018 is $35.02. Speak to our specialists about finding drug coverage in Nebraska or call 1-800-MEDICARE. How do I find the best Medicare supplemental plan in Nebraska? To find the best Medicare supplement plan in Nebraska, review the 10 types of Medigap coverage lettered A through N. The 10 types of Medigap plans are standardized. Eleven if you count the high deductible Plan F. Plan A provides the least benefits while Plan F provides the most coverage. Plan F is the most popular supplemental insurance policy purchased seniors in Nebraska. Medicare Supplemental Plan G in Nebraska is your best option though. What is the best Medicare supplement company in NE? For a complete list of our Medicare supplemental insurance companies who offer plans in Nebraska, please contact us. How much do Medigap plans cost in Nebraska? The cost for a Medigap plan in Nebraska depends on which plan you’re interested in. The more coverage the plan has, the more the policy costs. For example, since Plan A provides basic benefits, it’s going to be cheaper than the comprehensive Plan F. We recommend to review the different types of Medicare supplement plans in Nebraska and determine which plan is going to meet your health insurance needs best. Fortunately, the price for a Medigap plan costs less in Nebraska compared to other states.